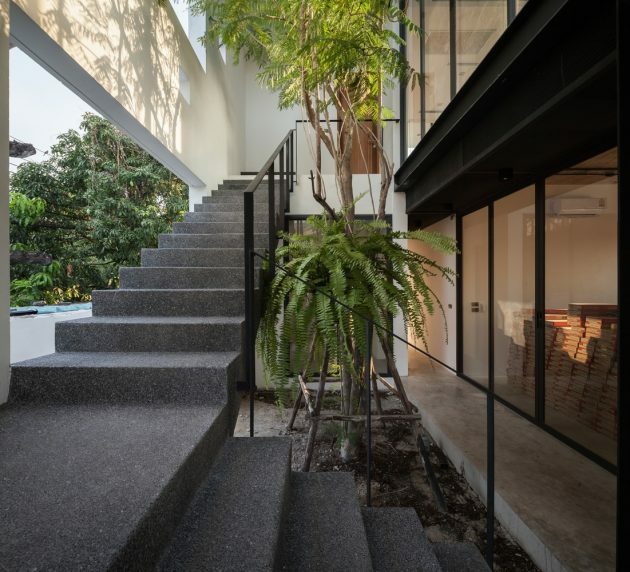 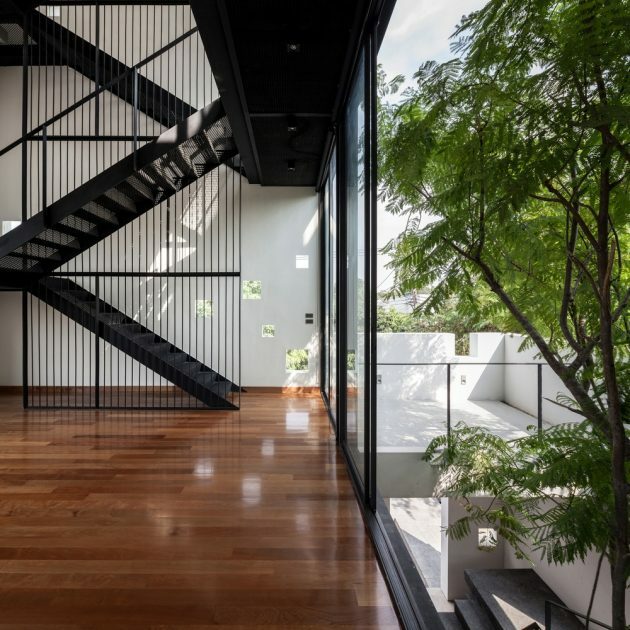 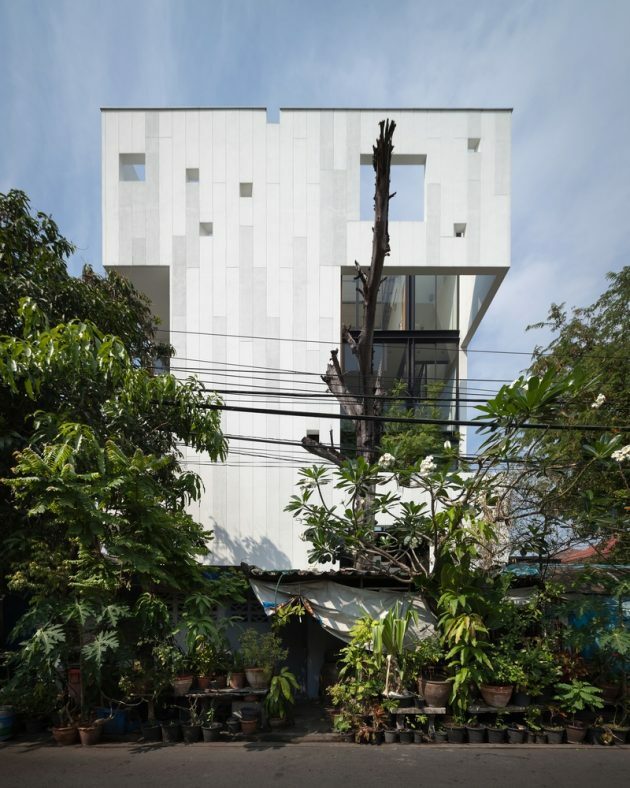 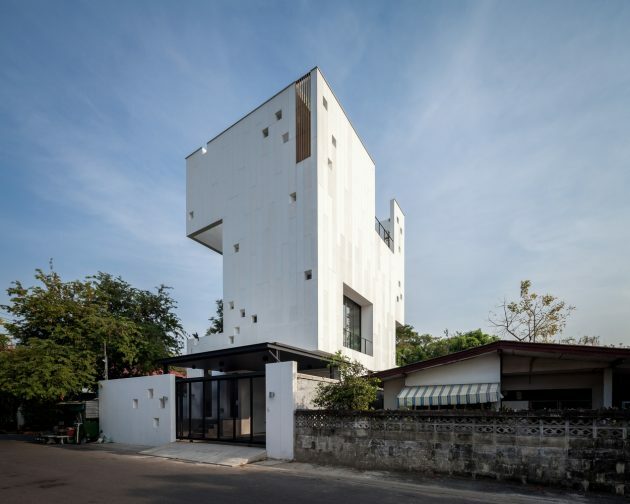 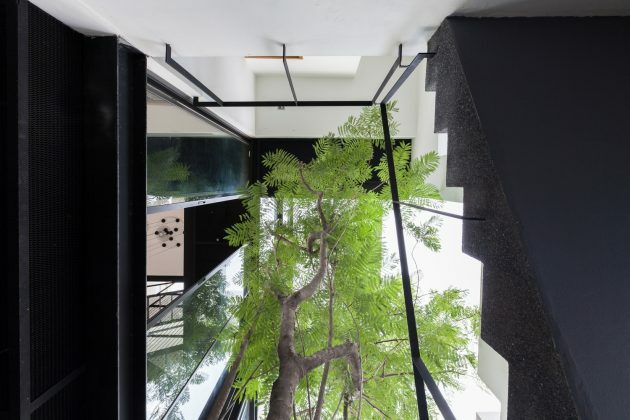 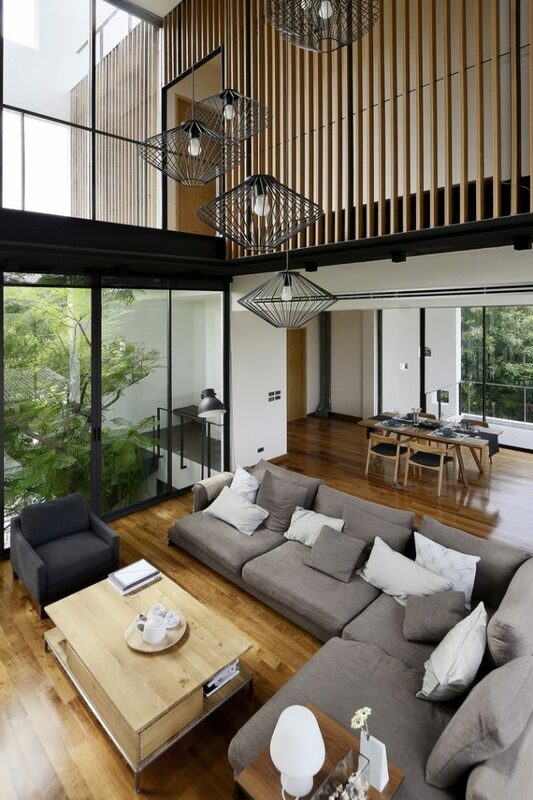 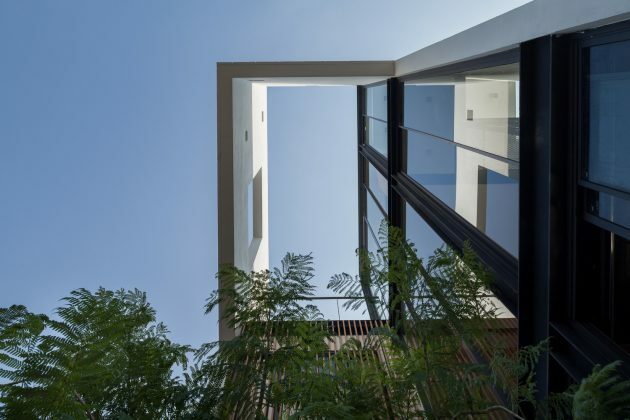 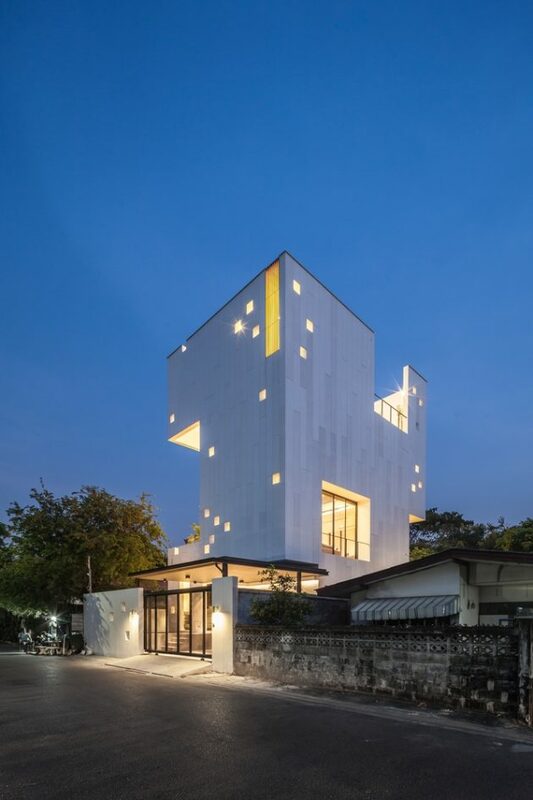 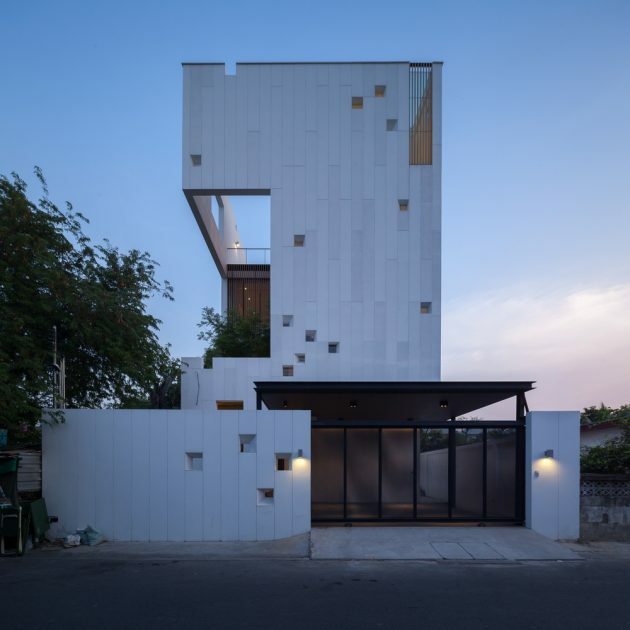 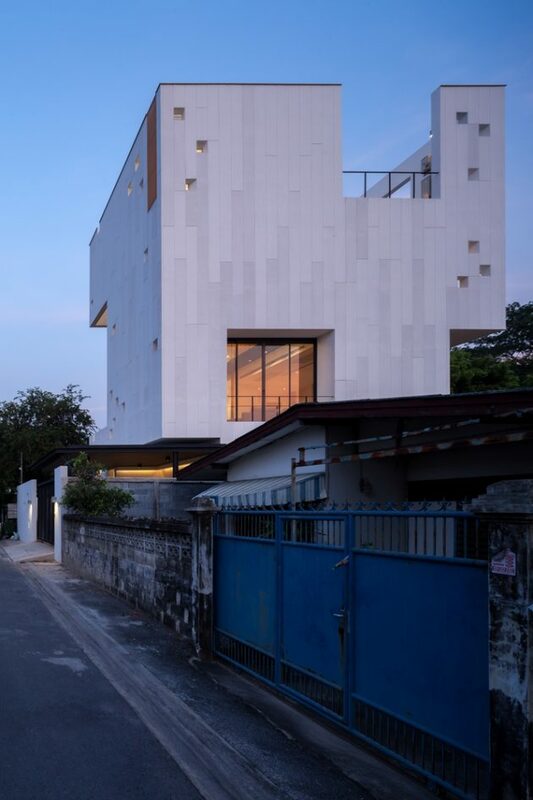 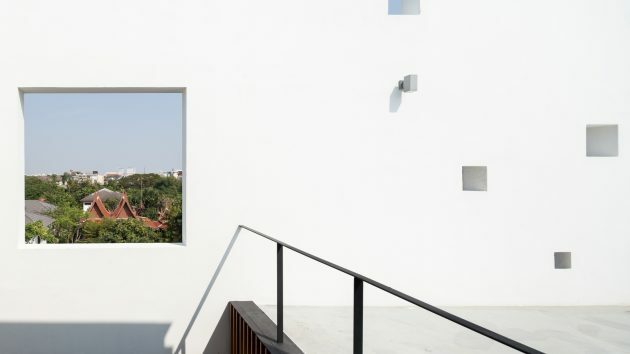 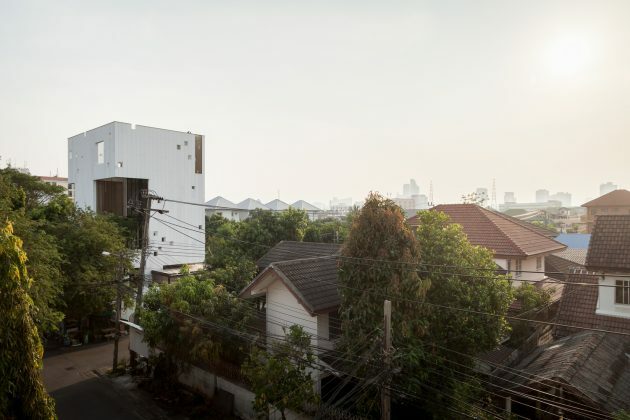 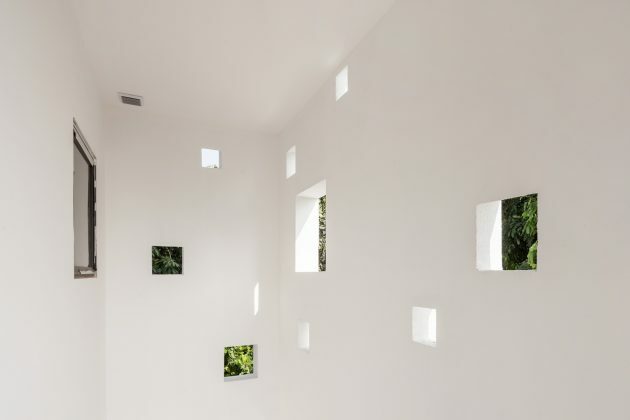 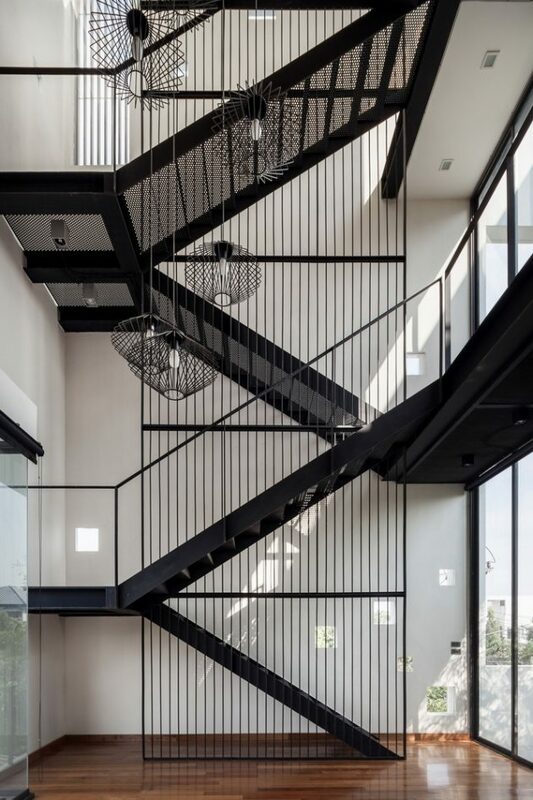 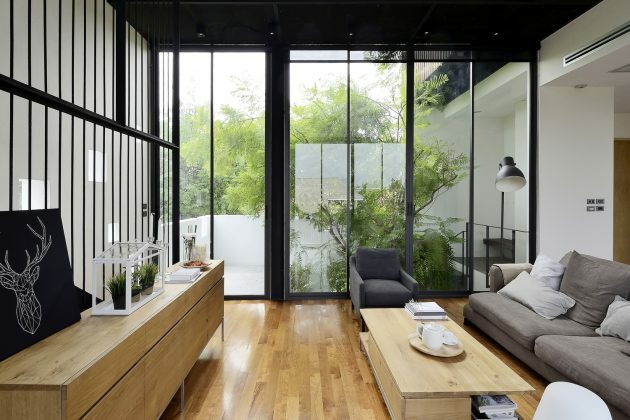 The Aperture House is a four-story contemporary family home designed by Stu/D/O in Bangkok, Thailand. 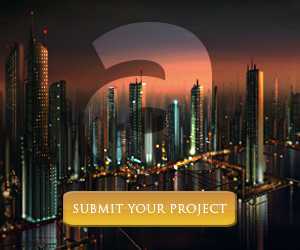 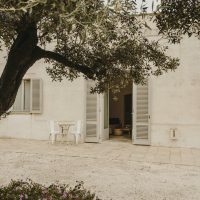 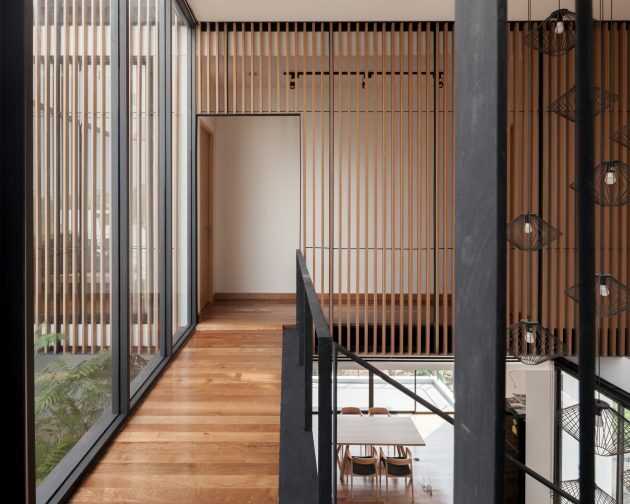 The dwelling is designed for a photographer and a landscape designer. 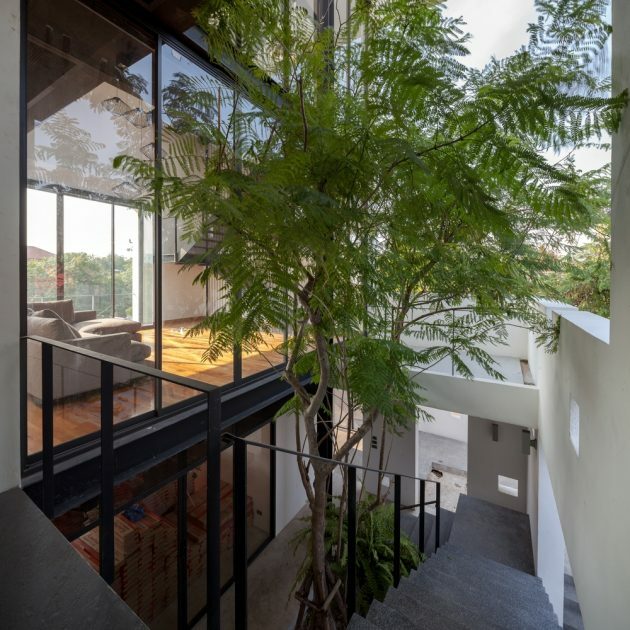 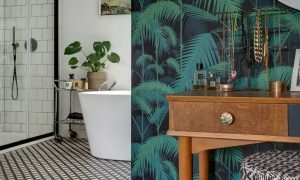 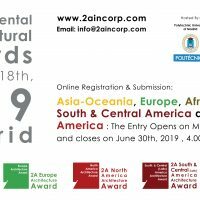 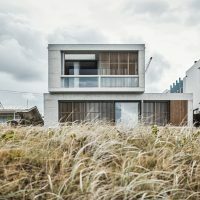 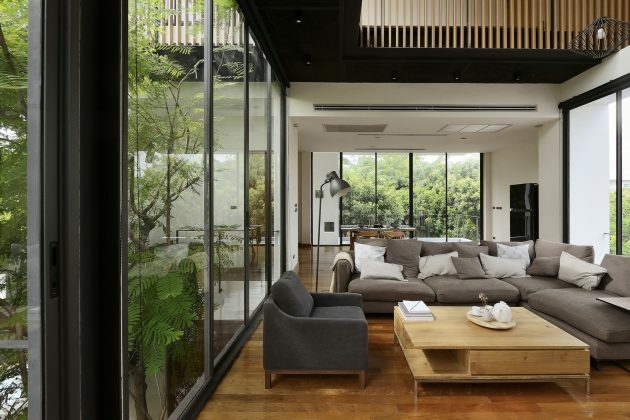 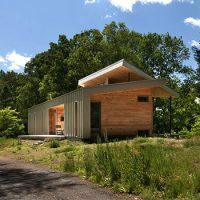 The design takes cues from their occupations and the architects did a stellar job merging the greenery and the carefully arranged openings that display full-framed views of the surroundings.